When I’m craving Mexican food, I never have to search far for ingredients. I always have my freezer stocked with chicken breast since it’s high in protein and low in fat. Also, I grow my own tomatoes, peppers and herbs (I really need to plant some onions, too)! 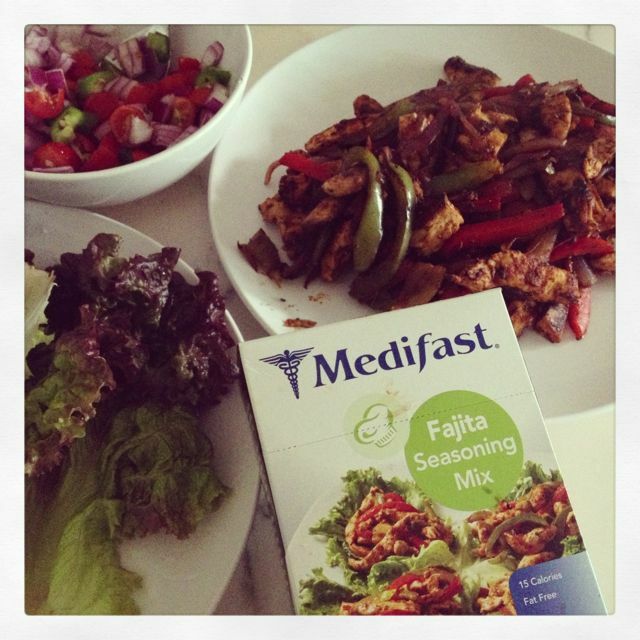 The last component to make my Mexican feast complete is Medifast fajita seasoning mix. Honestly, there is no sacrifice in flavor, the mix is perfectly seasoned! I made this last night for my family and let’s just say there were NO leftovers! Plus, we didn’t even miss tortillas because the lettuce cups were so delicious! I wouldn’t flinch to serve this for guests! My husband even made a comment about my lettuce wrap fajitas tasting better than a similar dish he had at a restaurant! SCORE! I also wanted to share this Medifast success story from a lady who lost 70 lbs on the program and has kept it off for 6 years! Check out her 5 tips that have helped her maintain the weight loss (read the article here)! Need some more inspiration? Check out these fabulous ladies! 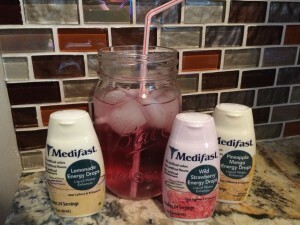 Thinking about joining Medifast, check out my coupon codes to save money! Both are valid until December 31, 2013. Also, here‘s a reminder of my journey last year. “Medifast has some deals for you! If you use my code, UNEMPMOM56, and sign up for Medifast Advantage when you order $250+, you’ll receive 56 free Medifast Meals and free shipping! You’ll receive 28 free meals with your first Medifast Advantage order and ANOTHER 28 free meals with your next order! This offer is only valid if you enroll in Medifast Advantage, and it’s limited to one per customer. 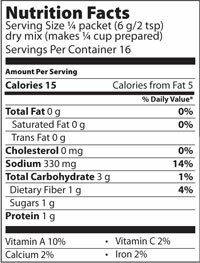 It’s not valid with prior purchases, any other promotions or discounts, or for Medifast Ready-to-Drink Shakes. Not ready to enroll in Medifast Advantage? You can use code UNEMPMOM28 to receive 28 free meals with your purchase of over $250. Limit one per customer. This offer is limited to new customers only and not valid with prior purchases, Medifast Advantage, or any other promotions or discounts.